The Kelly Manufacturing Company, the manufacturer of RC Allen Instruments for general aviation. RCA1510 Digital Heading Indicator with the RCA2610 Digital Attitude for the Digital Duo! 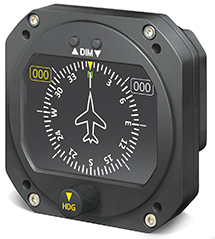 The new RCA1510 is designed as a fully FAA Certified direct replacement for your old mechanical Directional Gyro. It is totally self-contained and fits in a standard 3-inch panel cut-out. There are no special external connections required other than power and an external GPS antenna.. 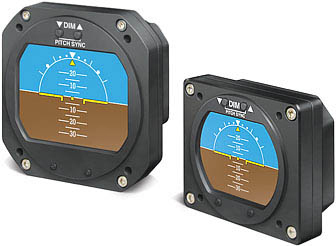 The RCA2610 Digital Attitude Indicator can be used as a direct replacement for your mechanical Horizon or as a backup to your existing instruments. It is totally self-contained and easy to install. The screen is highly visible and has adjustable brightness controls. 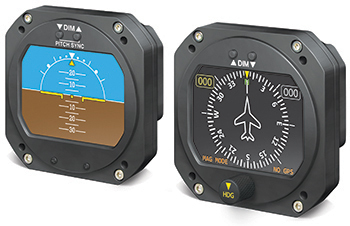 The RCA2610 is available with the Pitch Sync option which adjust the symbolic "airplane" on the screen. The Pitot-Static option is for high performance aircraft. All models come in both 3" and 2" sizes and are FAA certified. Welcome to the Home Page for RC Allen Instruments.